Contractors Can Easily Manage Orders, Payments with Spahn & Rose WebTrack - Spahn & Rose Lumber Co.
Time equals money, even online. With the new WebTrack app, Spahn & Rose has made tracking, managing and paying for orders even easier for contractors and homebuilders. 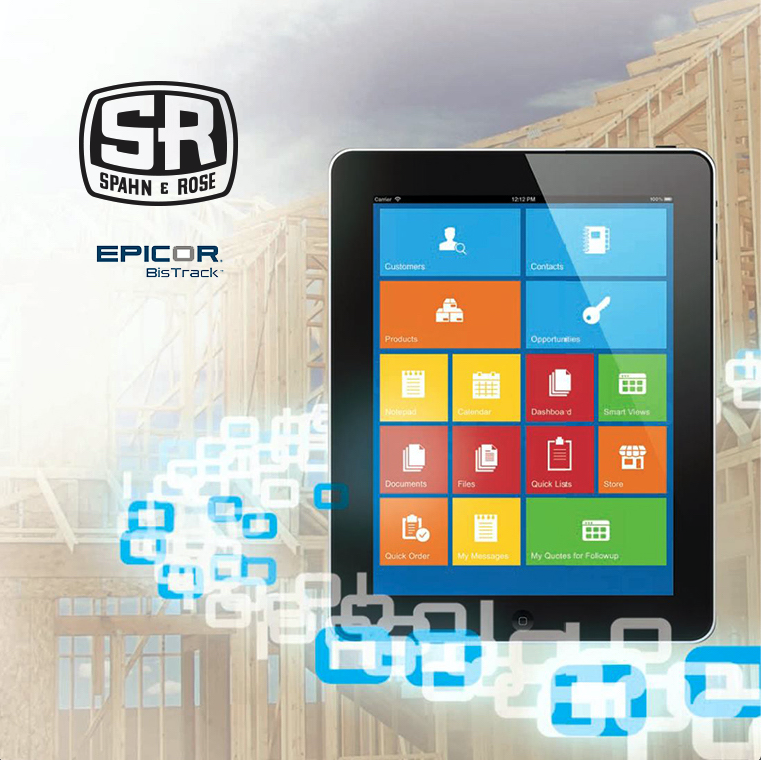 To provide more-efficient service to contractors and other customers, all Spahn & Rose locations recently installed Epicor BisTrack software, which includes the powerful WebTrack app. With WebTrack, Spahn & Rose customers with in-house charge accounts can access information about their orders, make payments and download statements. Account information is available 24 hours a day, seven days a week. Download the Spahn & Rose WebTrack app from Google Play or Apple’s App Store. Terms and conditions apply for all Spahn & Rose in-house charge accounts. For questions about your account, stop in to your nearest Spahn & Rose location or email Perry Schroeder, Accounts Receivable Manager, at pschroeder@spahnandrose.com.